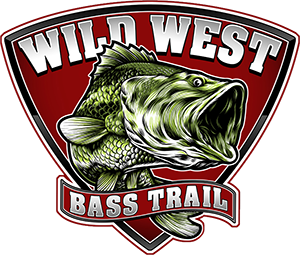 The 2019 Wild West Bass Trail (WWBT) concluded their Day Two weigh-in of the season-opener Pro/Am at the SuperClean Showdown on Lake Shasta with Alex Niapas of Angels Camp, Calif. weighing in the largest five-fish limit of a WWBT event on the Northern California fishery. Niapas sacked up a record-breaking five that went 30.22, anchored by an 8.32 spotted bass and a 13.58 largemouth (shown below). He added this 30-plus bag to his Day One limit of 20.92 and rocketed to a two-day total of 51.14, widening the gap on his lead by more than 25-pounds over his nearest competitor. Another record, this is the largest lead of any tournament competitor on any tournament day in any WWBT event. Niapas description of the “magic” of the day truly underestimates the awe-striking accomplishment that the reality of a single day’s five-fish limit of approximately 30-pounds is. To put it into perspective – since inception – the Shasta WWBT champions tournament-totals (three days of five-fish limits equaling 15 fish) come in at average weight of 32.84. Again, Niapas’ single day’s weight was 30.22. Without being specific, he disclosed his day. The Northern California angler recalls other 30-pound limits that he has weighed in team tournaments; but said this was his first one this big fishing as a pro in a pro/am. With a final day of fishing left for the top-10, Niapas reports feeling optimistic. “I don’t feel like I could have anything close to what I had today, but I could come in with another 20,” he said. Fishing resumes tomorrow at blast off and the WWBT SuperClean Showdown at Shasta’s final weigh-in will begin at 3 p.m. Sunday, January 27 at Bridge Bay Marina. The WWBT debuted in 2016. The trail includes a Pro/Am circuit and two Teams circuits – one based in California and the other in Arizona. A special thanks to all the WWBT sponsors – Ben Green Insurance, Dobyns Rods, Gary Yamamoto Custom Baits, General Tire, Genesis Graphics, Lowrance Electronics, Lucas Oil, P-Line, Power-Pole, Protect the Harvest, Ranger Boats, Super Clean, Top This Premier Accessory Outfitters, Vets 4 Hunting and Fishing.